Balanced snack with 20g of protein and carbohydrates. What is Elite Protein Bar? Elite Protein Bar by Dymatize are nutritious bars that provide 20-22g of protein which have also been enriched with 4g of BCAA's. What are the properties of Elite Protein Bar? The Dymatize Elite Bar is a delicious, easy and quick way to meet the daily needs of protein of the diet. Its formula includes a combination of high quality proteins like calcium caseinate (slow release protein) and whey protein (fast release protein). Each bar provides 4g of BCAA's (branched-chain amino acids: L-leucine, L-isoleucine, L-valine) that are naturally found in proteins. They are the most important amino acids to encourage recovery and muscle growth. It also provides carbohydrates, which contributes to maintaining the energy levels. It is an ideal snack to eat before or after training, between meals, mid-morning or mid-afternoon, specially when we are not at home and we want a healthy and appetizing snack. Anyone who wants a product that provides high quality protein and carbohydrates. 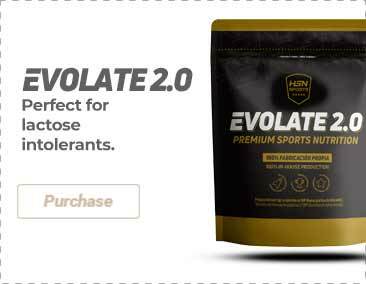 Very suitable for athletes and active people who want to consume a proper amount of protein and carbohydrates before/after physical exercise. An ideal bar for those who are not at home and who want a healthy snack that is also rich in proteins.